Strange, Austin M., Bradley Parks, Charles Perla and Harsh Desai. 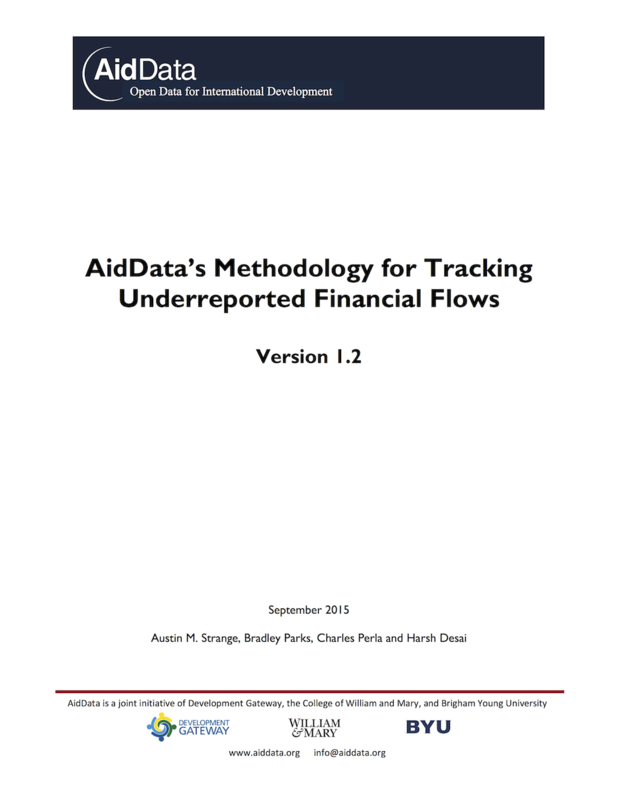 AidData’s Methodology for Tracking Underreported Financial Flows, Version 1.2. Williamsburg, VA: AidData at William & Mary. 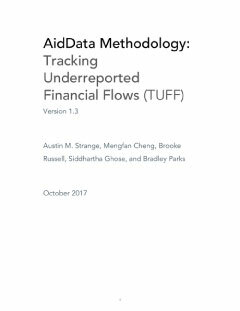 AidData has developed an open source data collection methodology, called Tracking Underreported Financial Flows (TUFF), to collect project-level data from suppliers of official finance who do not participate in global reporting systems. 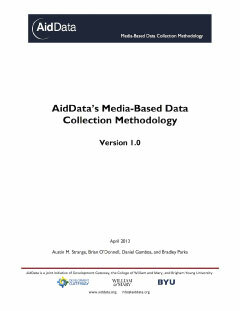 This codebook outlines version 1.2 of the TUFF procedures that have been developed, tested, refined, and implemented by AidData researchers and affiliated faculty at the College of William & Mary and Brigham Young University. We first employed these methods to achieve a specific objective: documenting the "known universe" of Chinese official finance projects in Africa from 2000 to 2011. Since the launch of that pilot dataset (version 1.0), we have applied the data collection procedures outlined in this document to track project-level development activities sponsored by four Gulf Cooperation Council donors and Venezuela, and created an updated dataset of Chinese official finance in Africa (version 1.1). These data collection exercises have demonstrated that TUFF can be successfully applied to other official finance suppliers. Expanded universe of information repositories scraped by TUFF, including aid information management systems, Economic and Commercial Counselor websites, and more academic sources. Improved data standardization by merging project fields with the potential to be coded non-systematically (specific to “Chinese Official Finance to Africa” project). Developed project templates for recurring Chinese aid activities. Created automated coding rules related to specific funding agencies and project types, and developed methods for identifying projects which violated these coding rules. For a full list of methodologies, see Research Methods.